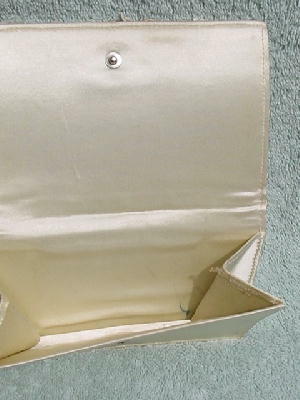 This small vintage clutch has a full front flap with a hidden snap closure. 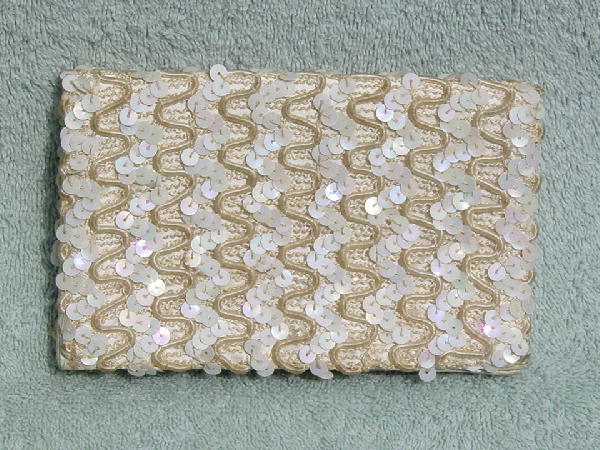 It has a wavy 8 vertical line pattern of white iridescent sequins alternating with a dark champagne wavy cord. The base is a horizontal twisted thread pattern. The interior is in a white satin. It has some ink marks on the bottom lining and a lipstick mark in the upper left interior flap. She got it as a present years ago from her first husband, who had it made for her while on a business trip to Hong Kong.